New York City is a magnificent metropolis abundantly memorialized in words and song. Over the past hundred years the legendary city has also figured prominently in art. Among the most iconic of these artworks have been many extraordinary posters, the majority of them travel posters. 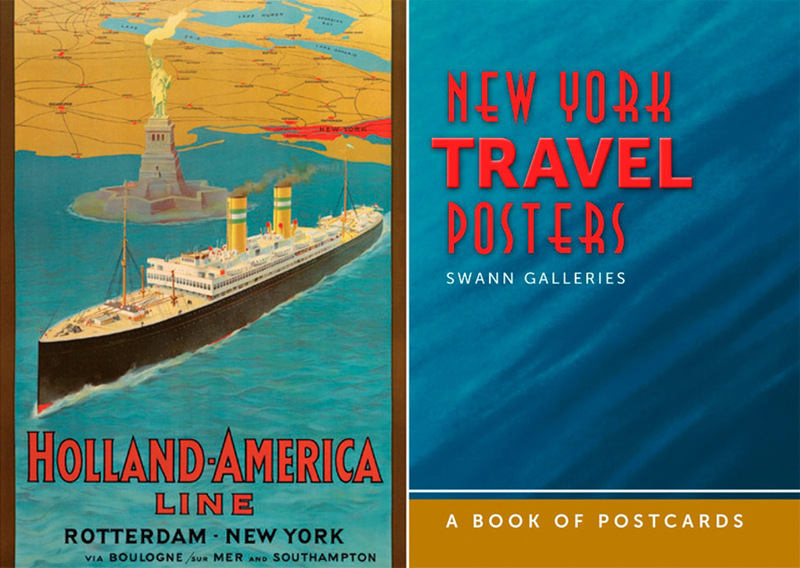 The earliest pictorial travel posters were European and date to the 1880s. They were published by the railway companies to help increase ticket sales. These early posters were essentially vignettes of local imagery, combined with rather lengthy and distracting blocks of text outlining entire train schedules to particular regions. Attractive as these early posters were, successfully luring travelers to various destinations with beautiful pictures of scenery and structures, they were essentially academic landscapes. As more and more people began to travel, and tourism became an industry in itself, advertisers needed to come up with new and creative ways to attract the eyes of passersby. Which is to say that as travelers and traveling became more sophisticated, so too did the posters. What was art became “graphic art.” Depicting New York City in posters must have been an exciting challenge for the artists who took on the task. After all, there was nothing in the Old World like the Big Apple. Where the French countryside had its beautiful scenery, the Alps had their majestic slopes, and the European coastal resorts had their frothy oceans, New York boasted an extraordinary skyline, concrete canyons, majestic ziggurat-like towers, and world-renowned events, such as the New York World’s Fair of 1939–1940.